While you’re recovering from your surgery, we have some Post-Operative instructions to make you more comfortable and speed healing of the extraction site. Expect some bleeding. You’re going to be a little sore for a day or so. Gauze pressure on the area of extraction Is essential in the first hour post surgery. This will aid in formation of blood clot in the extractions site. Blood clot is the source of nutrients to the area, so that healing can be guaranteed. NO Spitting, NO Rinsing, & NO Drinking from a Straw for the first 24 hours post surgery. The reason for this is that it takes 16 hours for the blood clot to stabilize itself in the tooth socket. Spilling, Rinsing and Straw utilization can remove the blood clot and result in Dry Socket. Dry Socket Is infection of the bone, and it is associated with extreme pain. 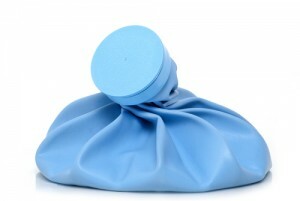 Swelling can be controlled by ice packs. Apply packs for 15 to 20 minutes every hour – no more than that. If you’ve been given a prescription for antibiotics make sure all capsules are taken as directed. Do not take Aspirin post surgery. Extra Strength Tylenol or the pain medication prescribed by your dentist can be taken for pain. Food: A soft diet is recommended. Nothing Hot, spicy, hard, has crumbs or sharp is to be consumed for the first 24 hours post-surgery. Soup broth that has been cooled in the fridge is one suggestion. Brush gently, avoiding the extraction area! If you suspect the pain is abnormally intense, call the office right away. Call us with any concerns or questions you may have during your recovery period. I love Dr. Boyd and all the staff. I can't remember all the names, but everyone that I have worked with has been excellent. I have felt well cared for, and that I matter. This has been a traumatic experience financially and physically - and everyone has done their part in making it easier to manager. Thank you!